ESPN classic was playing a replay of the game to commemorate the anniversary. I sat down and watched it. I had no idea he pitched the no-hitter on June 29th. Today is my 36th birthday anniversary. After spending the day at Minnehaha Falls with my mother and my kids, watching one of my favorite pitchers pitch a tremendous game was serendipitous. Stan Javier was playing center field for LA. Kirk Gibson was in Left. I think Gibson had an error in the first allowing Pedro Guerrero to take first. From then on Javier was catching several popups well into Gibson’s territory throughout the game. The ground he was covering was truly amazing. Gibson was taken out in the 8th and replaced with a defensive substitute. Speaking of Guerrero – one of the announcers was amazed at how much Pedro had grown since he was drafted at 17 and weighed about 157 lbs. Guerrero claimed he beefed up by eating green bananas. I found this funny in light of the rampant use of steroids throughout the era. Stan Javier also placed down a perfect squeeze bunt in the 7th or 8th inning to pad the lead a bit. June 29th, 1990 was also the only time 2 no-hitters were thrown on the same day. Dave Stewart pitched the other for Oakland against Toronto. I guess the Toronto fans even gave him a standing ovation with one out remaining. That’s classy, Canada! This was Fernando’s 1st no-hitter. He had never thrown a one-hitter prior to this one but he did have 8 2-hit games. 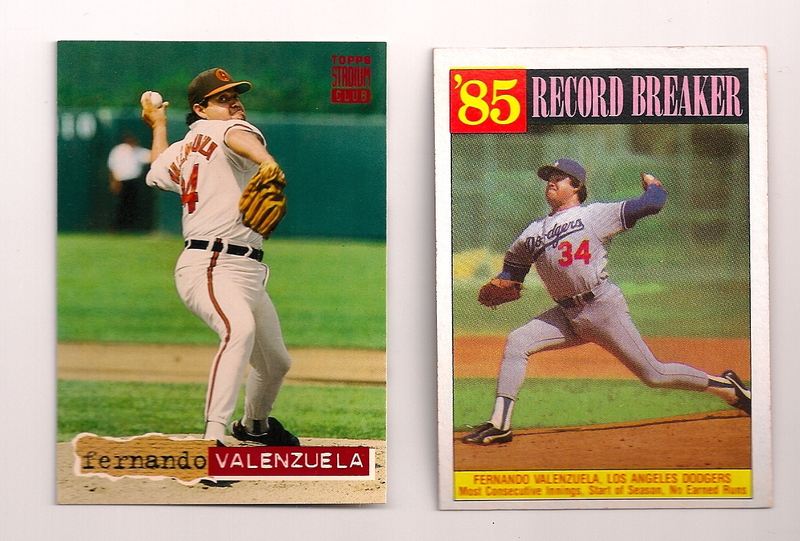 Dances with Trades #2 – Fernando for GOLD! My wife and I bought a house. No more cramming 4 people into a 700 sq ft 2 bedroom condo. Now we have room to stretch out and let the kids graze in the spacious yard. Also, I have room to work on organizing my card collection! I knew I had a few cards from my box so I sent them over. In return he helped me compete some holes in my Fernando collection! 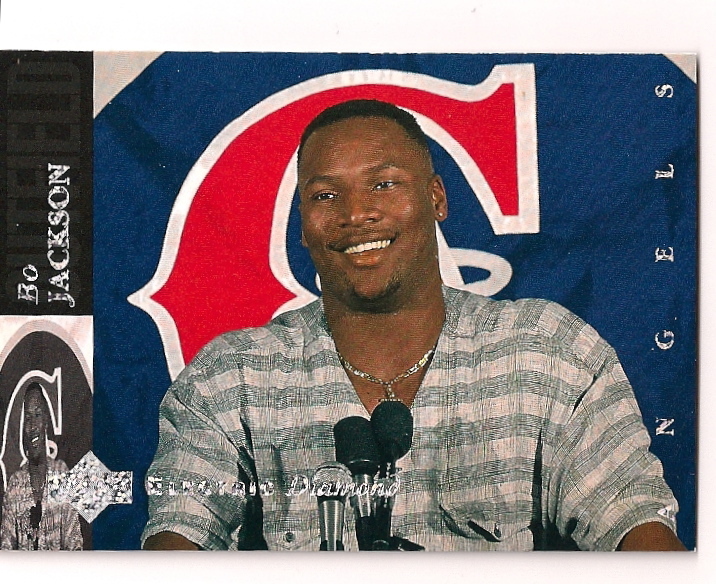 I was able to complete the first page of both Topps and Donruss. 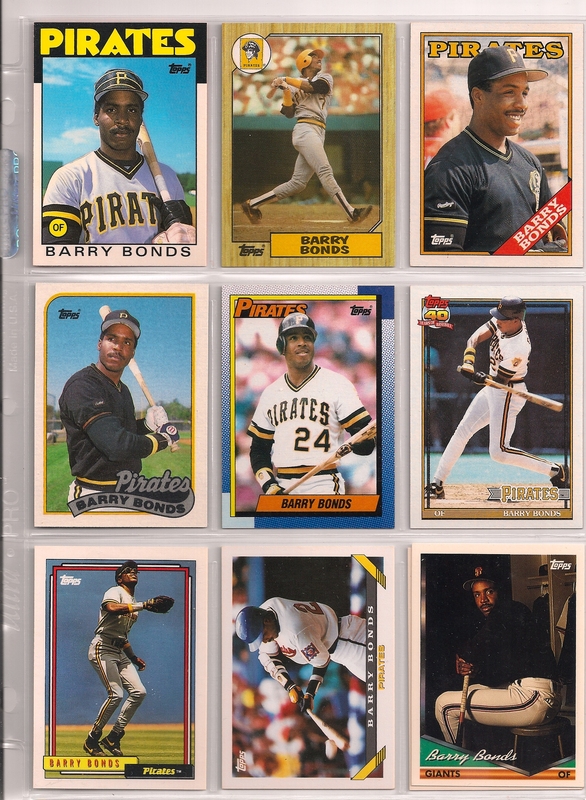 With my player collection, I like to have the base cards in chronological order and separate them by different sets. It’s neat to see the progression of aging as well as design. I know I completed a few trades with others as well but it’s been a few months and I can’t remember exactly who gave me what (darn you post heart surgery brain!). To those I missed, thank you for the cards! Next week Topps Series 2 comes out! Check back for my box break and let me know if you’d like any of the cards! Thanks for reading! 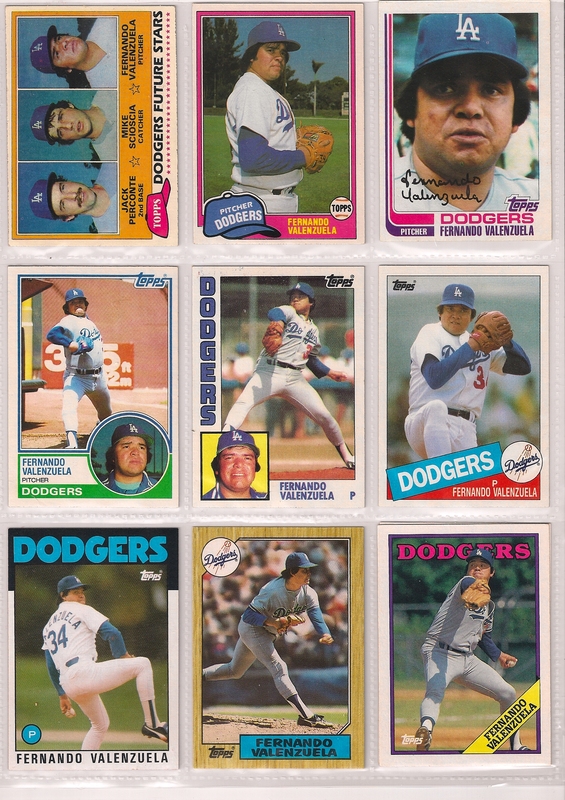 When I first started to put some Topps sets together last year I stumbled across the Lifetime Topps Project during my search for info on the various subsets for each year. That blog was invaluable to me and I think it’s wonderful that I was able to complete my first trade online with the writer. I was able to fill in some of his wantlist and this is what he sent me back. 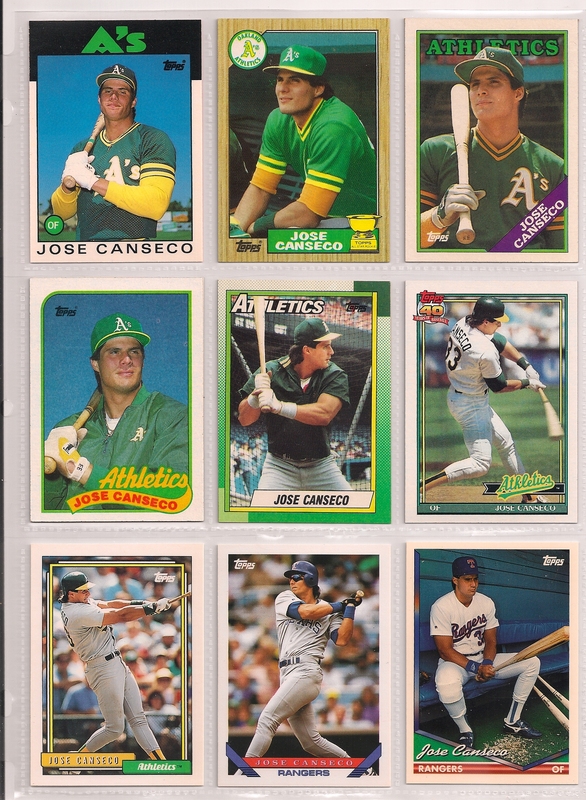 I was able to get partial sets of 1987 and 1988 Topps from my sister and brother-in-law but there are still a few holes. Compared to the 2015 set, these cards look and feel archaic. I think this year’s set has received somewhat universal acclaim for its design. Seeing three different colored borders in this pic is truly appealing. 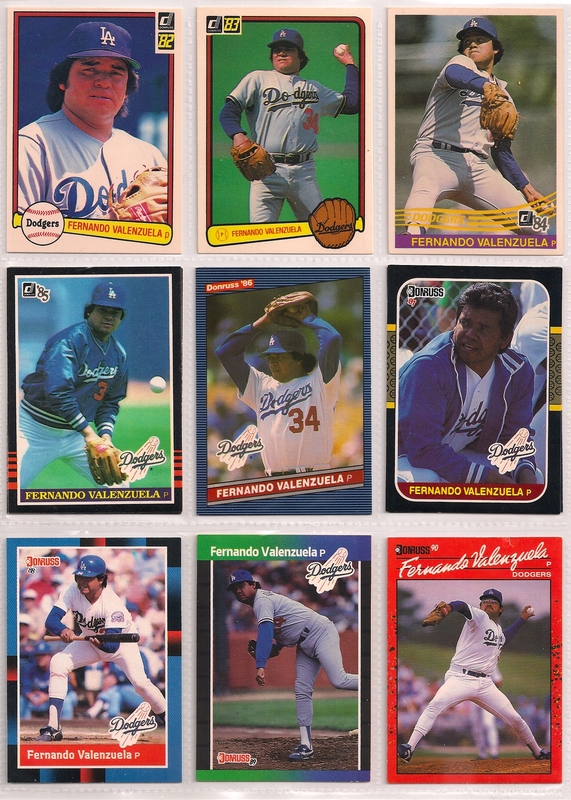 Fernando going strong in Dodger Blue next to him trying to fight back to the bigs in the complementary orange. 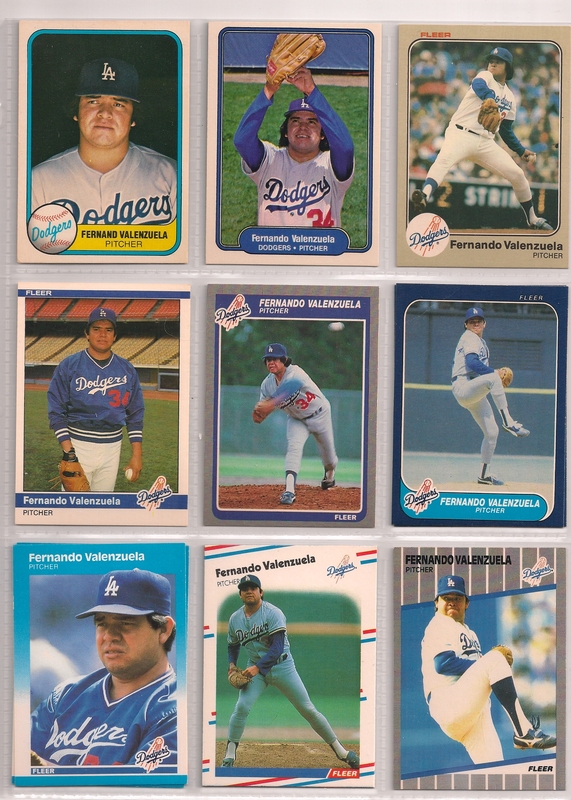 I fell in love with Fernando after seeing the 30 for 30 film on him. 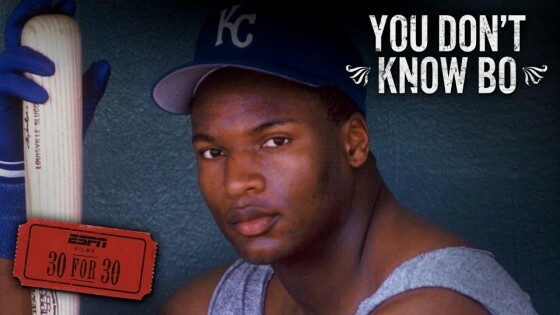 My great respect for Bo Jackson also came about after seeing his 30 for 30. 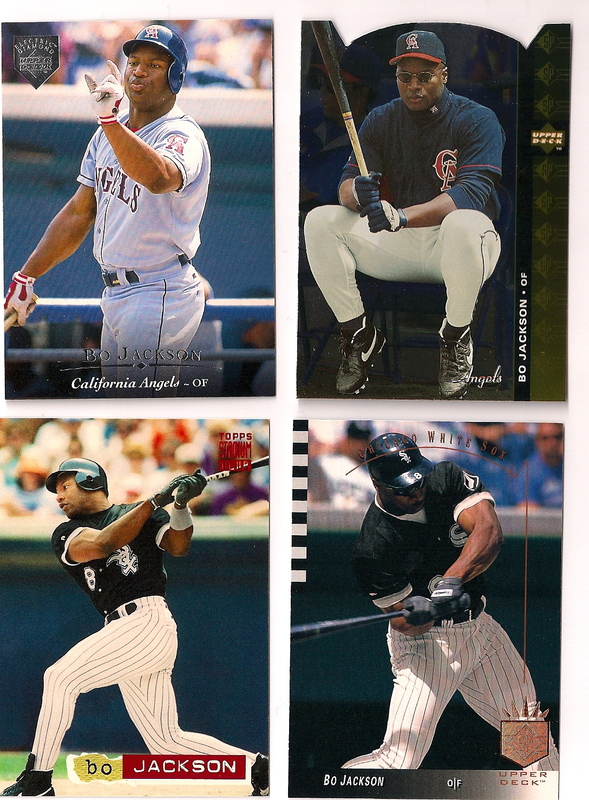 Lifetime Topps threw in several Bo cards I didn’t have. I just realized Bo and Fernando are two guys who attempted to fight back after declining from their peak. That’s something everyone who goes through heart surgery attempts to do as well! 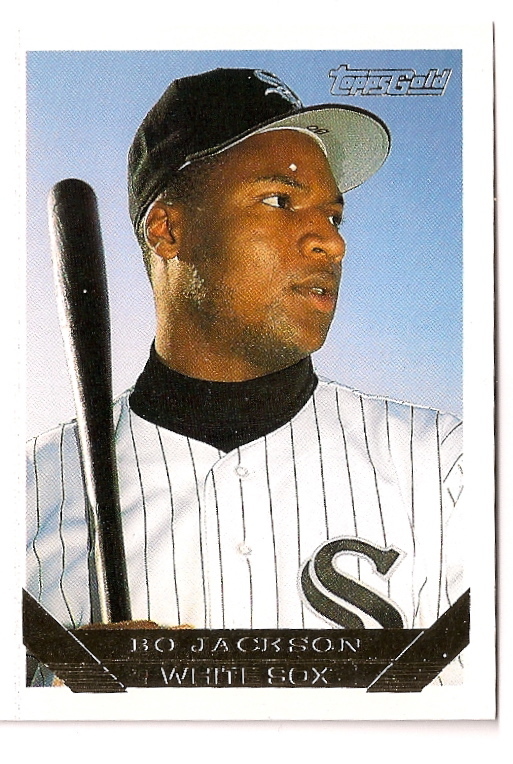 I hate seeing him in a White Sox uniform but this is such a great pose and pic. Adding the Gold to the card really makes it classy, too! We’ll end the post with a smile! 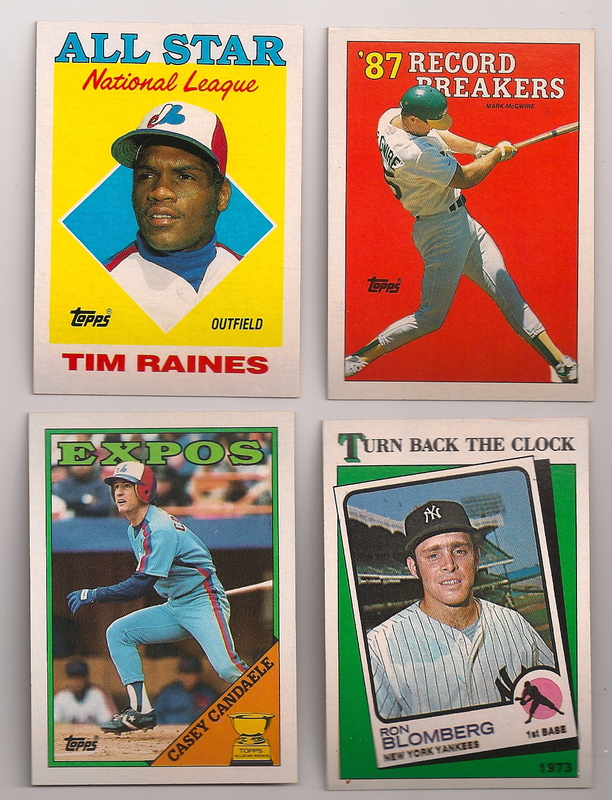 One of the main reasons I wanted to start a card blog was to complete some sets through trading. Feel free to comment and let me know if you are willing to trade! I will keep on updating my wantlists and what I have for trade in return.